A Cause for Miracles is the second book I have written that I aim to have published this year. This is an opportunity for interested parties to own the rights and publish my book before I self-publish and go to press with my own imprint. In A Cause for Miracles I discuss in simple terms that anyone can understand, psychological insights and technological breakthroughs from over twenty years of research in areas including Spirituality, The Speed of Light, Free Radiant Energy, Tesla Coils, Anti-Gravity and our Solar Sun: the prime mover of energy in our local system. This book challenges the status quo (which is actually a socially defined version of reality) with a new paradigm model of understanding designed to shift Earth, out of our dependency on antiquated energy models and into a new era of free, clean and abundant energy for all. This book was written for the most part, between the years of 2005 and 2011 in the form of notes that came through as an intuitive response to numerous world issues that came up for healing between those periods. I would receive news of a catastrophe or a world event and would feel compelled to write down my thoughts. These would be specifically relating to an event or a world issue that was “up” and would often surprise me with their intelligence, profundity and the deep level of mind-metaphor through which the messages were coming. When I began writing I never intended this to become a book! I simply wrote down the thoughts and feelings as they came to me, and then transcribed them and saved them as a note on my computer. Also, this book is not meant to be an attack on anyone or intended to lose anyone profit or put anyone out of business. It is simply my way of expressing my thoughts and opinions, as a way of raising consciousness such that, they might heal the world and create a happier, healthier, cleaner and more abundant place for everyone to live, now and in the future. And not just for those of us who are fortunate enough to live in a developed country. We ALL need to win or it isn’t true abundance. If we are to transcend and evolve beyond our current set of limitations, we need to heal our own minds, align ourselves with spirit, pull up our anchors (the judgements that keep us stuck in the old ways) and set sail on the seas of forgiveness. Oil is not running out, the world is not over populated. The sun is not going to burn out anytime soon! We have all the land, energy and resources we need to create and enjoy a sustainable and renewable way of life. We just need to begin trusting each other and pulling together, instead of using our technology to repress the competition. If we allowed a more open minded, trusting and honest approach towards spirit, science and technology, we would re-write the rulebooks and develop technologies that could be used to benefit the world instead of being used to control or destroy. To that end, I would like to share some of my ideas with you. This book is a way of expanding your worldview to the extent that you will be able to forgive your neighbour and create breakthrough in your own life. In this book you will find wisdom, understanding, a small amount of technology and most of all HEALING. It is my gift to you for 2012. How The Prayer Came To Be 12. The New Lord’s Prayer 17. The Five Essential Principles of Enlightenment 19. The Truth is Heaven 21. The End of The World As We Know It 23. Our Purpose is Happiness 32. Tesla Free Energy Transmitter 38. Do You Believe in God? 49. What is in the Flu Vaccine? 50. Only God is Inevitable 54. Healing Separation and Family Roles 56. The Role of The Superhero 60. An Act of War or Forgiveness? 61. The Role of Defender 69. The Most Unfair Thing About Life 70. Where Did My Soul Go? 71. Centre of The Universe 74. 2012 - Another Great Year 80. All Minds Are Joined 83. Love Not War. Healing The Anarchic Split Mind 87. Kissing Underneath The Mistletoe 98. Goal Setting, Intention and Expectations 100. Is It A Bird or Is It A Plane? 102. Free Electricity or The Horse and Cart? 104. A Course in Miracles for Beginners 107. Earth is Pulling Up Her Anchor 110. A Course in Miracles Conspiracy Theory 131. God’s Will For Me Is Happiness 139. Forgiveness Is My Business 145. The Need For Forgiveness 157. Twenty years ago a series of life changing events led Matt to write his first book which became the basis for forming his own company Inner Vision and were the beginnings of his enlightenment. At the age of 21, as a way of trying to heal his own trauma and psychology, Matt began taking notes which would later be typed up into the manuscripts for his first three books, only one of which has been published to date. Having had formal training in electronics and fourteen years as a relationship coach, workshop facilitator and student/teacher of A Course in Miracles, Matt feels now is a good time to share this Wisdom with the world. Since publishing my first book I have developed a large loyal base of friends throughout a considerable number of social networks including Facebook, Youtube, Twitter and Myspace. I am available for interviews and book signings and I am willing to travel to cater for these events. 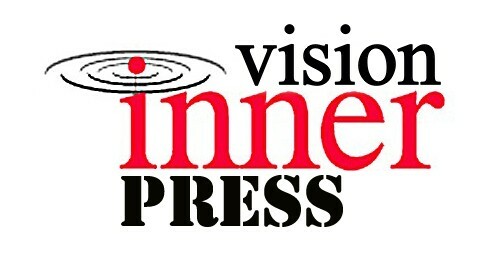 I also facilitate Inner Vision workshops and promote my books through these events which receive a considerable amount of advertising. Click here to see Enlightenment for Beginners on Google Books. Click here to get Enlightenment for Beginners on your Android or iPhone.